Comet 45P/Honda-Mrkos-Pajdusakova is now easily visible in late evening / morning sky (When the clouds allow us to view it). 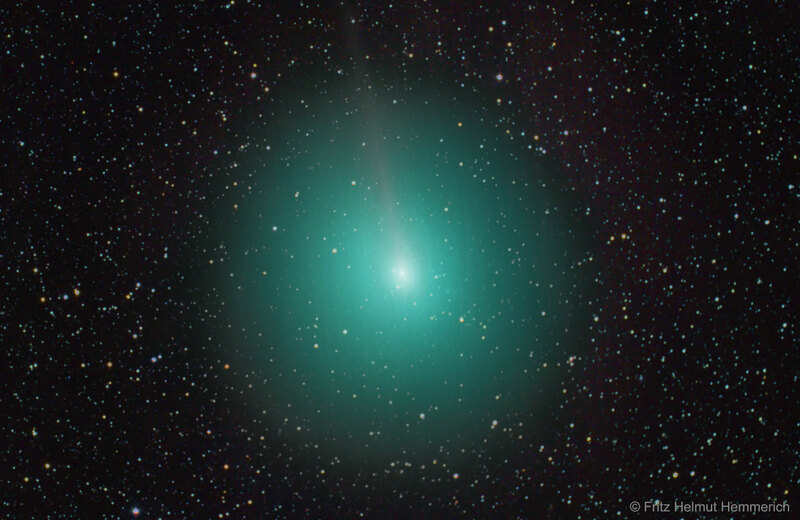 Moving rapidly northwards the comet has lost the tail it had prior to perihelion, which occurred on New Years Eve 2016. It passed closest to Earth on the 11th of February, passing less than 12.5 million kilometres away. Despite losing the tail, its post perihelion appearance has swollen markedly, showing a large bright green coma. Its close proximity to the Earth means its apparent movement is very rapid. If you are taking images, they will have to be fairly short to stop the comet blurring, unless you can guide on the comet nucleus itself. 45P’s magnitude hasn’t quite reached predictions, but it is still a healthy 7th magnitude, so is easily followed in binoculars or a small telescope. Some recent images show that it may be starting to develop a straight ion tail. This stunning Image by F. H. Hemmerich shows the tail really well and was Astronomy Picture of the Day on the 12th of February. 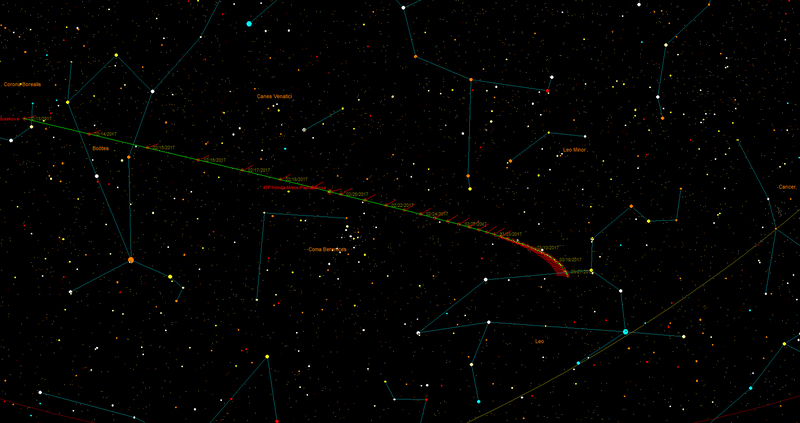 Use the map below to find the comet as it passes through Coma Berenices and into Leo. Its magnitude will quickly fade as it recedes from the Sun and Earth.